•	Aging: With a natural decrease in strength and flexibility comes impairment to your balance. •	Musculoskeletal Problems: If your range of motion, strength, endurance and mobility are impeded for any reason, your gait may be affected, since you need a certain level of balance and strength to walk properly. •	Impaired Cognition: You are less able to adapt to a situation if your judgment or safety awareness decreases, your attention is poor or you process information more slowly than before. •	Impaired Neuromuscular Responses: Disruption in the signals between the brain and the muscles can affect gait and balance. The disruption can result from a variety of issues, such as a stroke, Parkinson’s disease or multiple sclerosis. •	Impaired Sensory Processes: If your body’s sensors are unable to collect information about the environment, it can lead to balance and gait issues. Sensory disabilities may be caused by glaucoma, cataracts or diabetic retinopathy, to name just a few possibilities. Your physiotherapist may diagnose your gait as being abnormal after reviewing your medical history, discussing your symptoms and doing a walking gait analysis. She or he may use a gait scan device to assess the biomechanical function of your feet. •	Increasing your mobility while decreasing the risk of falling. 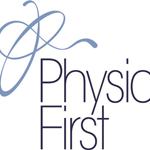 All our Physiotherapists are registered with our regulatory bodies, the Chartered Society of Physiotherapy, the Health and Care Professions Council and the Acupuncture Association of Chartered Physiotherapists.